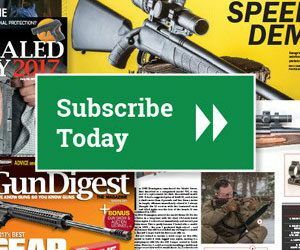 Here are five reasons why it makes sense to put survival firearms near the top of your prep list. I carry a firearm every day. I do so recognizing that even a 911 call would be too little and too late when a dire threat is staring right into my eyes. That goes for disaster situations, too, which is why I own survival firearms. But are survival firearms really necessary? People with limited funds may invest in other survival gear first. Every situation is different, but there are great reasons to put survival firearms at the top of the list. Here are five. Time and again, violent struggles recorded by dispatchers ended up being homicide scenes by the time police arrived. If you’re put in a situation where it’s you or an attacker, you need to have the response options that only survival firearms can offer. The mass shootings in the United States in recent years illustrate the speed by which violent episodes unfold. Though police arrived quickly, they arrived to several deaths. Now compound that level of calamity with a widespread disaster scenario. You’re on your own. The priorities of police agencies expand during a post-disaster response. Police officers are relied upon as life savers and are appropriately pulled into search-and-rescue roles to bring the injured to safety. This limits their ability to deter criminal activity, which becomes a much larger issue compared to pre-disaster scenarios. Again, you’re on your own. On top of the previous reason, remember that individual officers are real-life people like anyone else. When the shift is over and it’s time to change out of their uniforms, they head home to their families. They, too, experience their own losses amid catastrophe and have their own loved ones and a host of worries at the fronts of their minds. They have to manage all those thoughts while still trying to give their best to a community in need. When the community at large is dealing with chaos, members of law enforcement might often deal with stress at a far higher degree. Even if law enforcement resources are available, sometimes after a disaster there’s no time to wait for police assistance. The same is true with everyday life. Which is why I carry a firearm every day. What do you do to stay protected? Leave a comment below. I also carry all the time, even in my home. I have had my concealed carry license for almost two years now and I am always armed. Some would think me as paranoid, but after twelves as a police officer (1977 to 1989) I can attest from personal experience that the police cannot be everywhere all the time. A great response time for police to an emergency call is three (3) minutes. To put this in perspective turn on your kitchen cook stove, hold your hand above the burner so you can feel the heat rising from it; hold your hand there for three minutes. You can’t do it without severely burning your hand, but you can sure get a good idea of how much damage can be done in three minutes. The police are employed to enforce laws, and protect you if they are able to do so. the problem is that when you call police in an emergency situation you need help “RIGHT NOW”. Three minutes after the fact is generally to late. So what do you do? The truth is that you are responsible for your own safety and protection. So what about the police protecting me? you ask. Well as I stated previously they will when they arrive, but that is likely to be too late as the crime will have already been committed and odds are you will be dead. When the police arrive they are now reporting officers gathering evidence of the crime, questioning any witnesses, and doing what is required to identify and locate the suspect. Oh yeah, they will also call the county coroner to the scene to bag you up and take you away. Now what if you are a concealed carry license holder that is legally armed? That three minutes is now a mute point as you can defend yourself while waiting on police to arrive. Now the outcome of the situation is likely to be very different, and the suspect will probably be the one in the body bag. I know this sounds gruesome and it is, but that cold hard fact is you are the only one that can guarantee your own safety and the safety of your loved ones, so come back to reality and get your concealed carry license, learn how to use a handgun, and most importantly when you can, and cannot, use that handgun, then arm yourself, even in your own home all the time, unless of course you can read minds and then your will know when someone is going to attack you. WAKE UP AMERICA! WE ARE UNDER ATTACK FROM CRIMINALS A D YOU HAVE TO DECIDE IF YOU WANT TO BE A SURVIVOR OR A STATISTIC. IT IS UP TO YOU.